We love to watch in awe as baby fawns and their deer families pass along our yard each year. They come and go as they please, and occasionally they’ll tolerate my camera. I’m reminded that the deer love to munch on some of our landscaping, especially lilies and other plants with tender leaves. We sometimes place human hair around plants that we don’t want the deer to eat. according to the University of Nebraska-Lincoln extension service. Here’s a link to another article on this subject from the Vermont Extension Service. Thanks for the links! 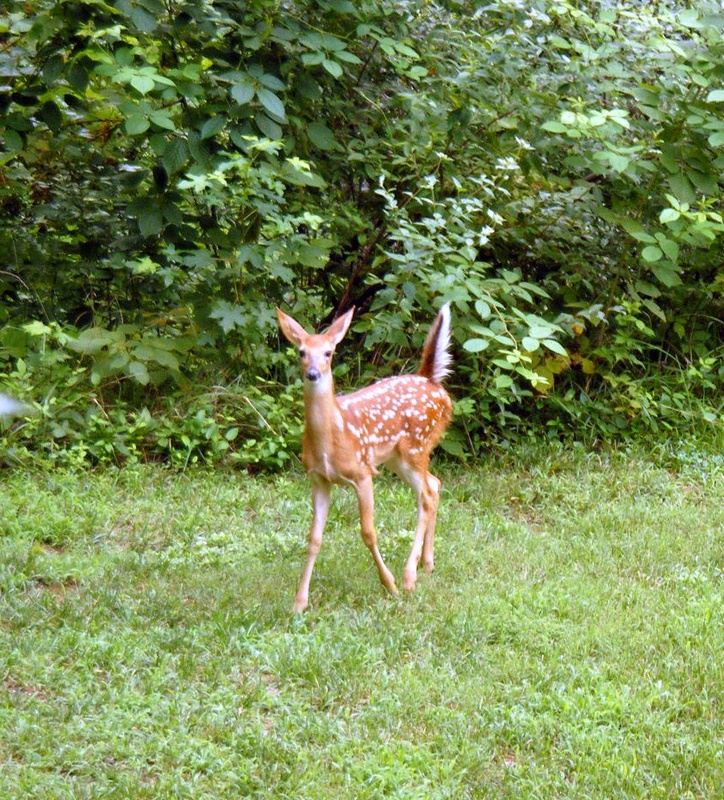 I love watching the deer meander through our yard – especially when there are babies!